“We understood that the screenshots and videos in the ad had been created using game footage, and acknowledged that in doing this the advertisers would aim to show the product in the best light,” according to the findings released today on the ASA website. “Taking into account the above points, we considered that the overall impression of the ad was consistent with gameplay and the footage provided, both in terms of that captured by Hello Games and by third parties, and that it did not exaggerate the expected player experience of the game. We reached out to Hello Games for comment and will update this story when the developers respond. In September, the ASA kicked off an investigation into the way the game was advertised on Steam after receiving 23 complaints about ten or so specific features that were said to be missing or not the same as what was shown in the ads for No Man’s Sky. The ASA spoke with Hello Games which provided video the team captured and video players captured to refute the complaints, according to the ruling. Hello Games also pointed out that since the game was procedurally generated, the content found in the game may not exactly match what was in the ads, but that it was essentially the same. “This computer process embodied algorithms that determined, for example, the probability of a player encountering a creature with a particular physiology, exhibiting a particular behaviour or existing in a particular habitat,” Hello Games told the ASA according to the report. “They said the game contained 18 quintillion planets, each with its own terrain, weather, flora and fauna, and was effectively infinite in size or scope. It was unique, therefore, in that the user experience was not scripted and each user would have their own individual experience. Hello Games: The appearance changed, but not the operation. Hello Games: Video was provided showing buildings and structures similar to those seen in the ads, including large bodies of water. ASA: The structures are consistent with what was shown in the ads. Hello Games: The larger the battle the more unusual and harder to find they are. ASA: Provided footage shows larger battles in action. Hello Games: Provided footage replicated similar behavior to what was found in the ads. ASA: The ASA wasn’t able to find footage or replicate a ship flying under a rock formation, but this missing element was found insignificant. Hello Games: Footage shows similar animal behavior to what was seen in the ads. ASA: No gameplay or footage shows animals moving large trees, as was seen in the ad, but that is considered a “fleeting and incidental scene” that wouldn’t likely mislead a consumer into buying the game. Hello Games: The ad was created using a computer that matched Steam’s survey of typical user hardware. The videos were uploaded with a resolution of 1080p at 30 fps using anti-aliasing. ASA: While two screenshots showing water and a type of illumination seemed to by in a higher fidelity than found in the game, the ad footage in general shows a quality that can be not only replicated by bettered. Hello Games: The warping time is impacted by the computer used and the complexity of the galaxy being warped to. The ad shows a warp to a sparse system with a single planet, one moon and hardly any life which takes three to five seconds. That warp was not edited and they provided an example of a five second warp to the ASA. ASA: While the ASA experienced warp times that too as long as 16 seconds, they also found that warps to less complex systems took less time. In the context of a general gameplay ad, they felt that the short warp was not misleading. 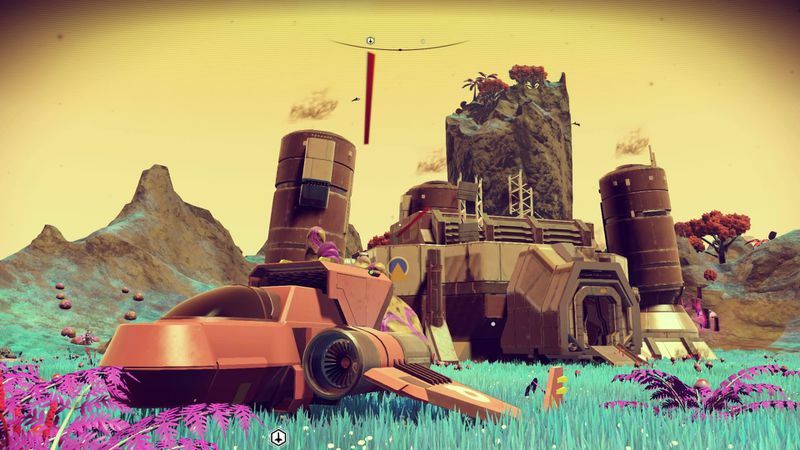 Hello Games: The environments and characteristics were generated in real time while a player moved through the game, including when they warped between systems, during which time the player could continue to interact with the game. ASA: While the warp screen is used to give the game time to generate a new system and could be viewed by some as a sort of loading screen, it did not represent an interruption to the gameplay experience. Warping is also not used nearly as much as other systems in the game and is shown in an ad. Hello Games: Footage shows trade ships warping into systems after travelling between solar systems. ASA: The feature exists in the game. Hello Games: Solar systems are each occupied by one of three factions. Factions sometimes tell players about their dislike of other factions and players can take part in fights between factions. ASA: Noting the footage and Hello Game’s explanation, the description doesn’t differ materially from the gameplay features. The findings come just days after a massive, free update for the game hit the PlayStation 4, which added quite a bit of new content to the game. The update, which Hello Games says is the one of many free updates to come, along with the findings of the ASA are the first bits of good news to hit the game in quite some time. Since the game’s Sept. 24 release, the team at Hello Games has been the subject of player outrage about the game and social media hacks. 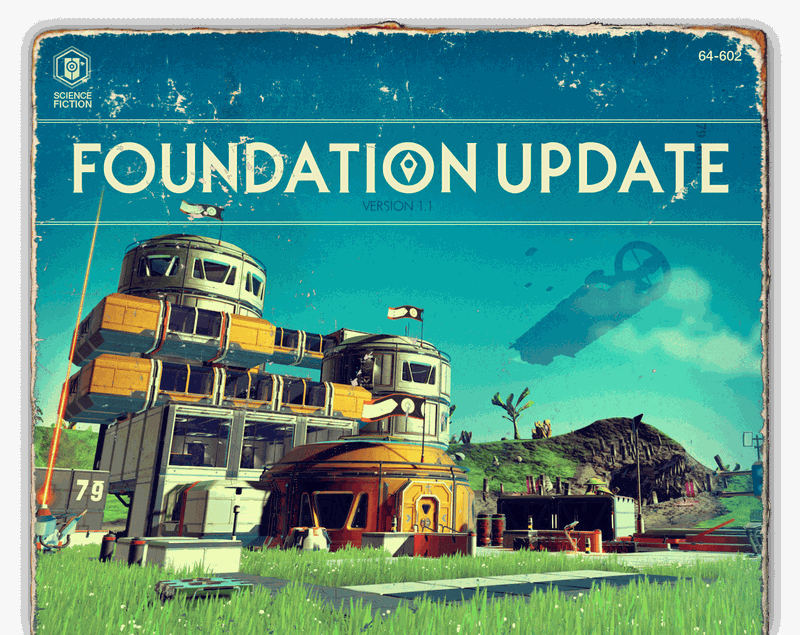 In announcing the Foundation Update which went live over the weekend, the team at Hello Games wrote that “The discussion around No Man’s Sky since release has been intense and dramatic.